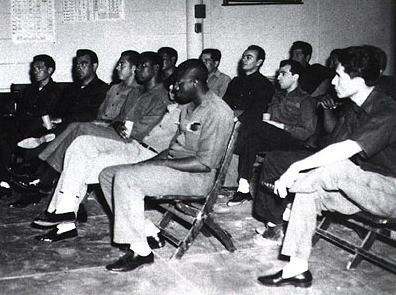 William Benitez (far right) with the first Narconon group in 1966 William Benitez, an inmate of Arizona State Prison, founded the NARCONON program in 1966. Benitez read a book by American author L. Ron Hubbard, and by applying the principles it contained on increasing one's abilities, he and dozens of other inmates were able to permanently end their addictions to heroin. Narconon centers around the world are educating hundreds of thousands of people and rehabilitating thousands of addicts. The Narconon program is a non-profit public benefit organization dedicated to eliminating drug abuse through prevention education and rehabilitation. The Narconon drug prevention and education program takes a comprehsive approach to preventing drug use through effective educational programs with school children, parents and educators, training for peer leaders and professionals, and broad information campaigns. Narconon International, the administrative and promotional international coordinating office in Hollywood, California, was formed up actually long after the network of individual Narconon centers had existed. With dozens of staff speaking many languages, Narconon International licenses new centers worldwide. Beyond providing managerial expertise to the network, its senior function is to monitor and support the highest level of technical and administrative excellence throughout the network. The International office has also spearheaded drug education delivery and other drug prevention events to hundreds of thousands of students and others in southern California. Supporting the office is Friends of Narconon International, whose staff have produced and distributed drug education videos and curriculum including The Truth About Drugs: What is it? and Marijuana: The Myth. The Narconon International Science Advisory Board has also sponsored research, outcome studies, and international peer-review conferences on L. Ron Hubbard's sauna detoxification protocol, including conferences in Los Angeles in 1995, Stockholm in 1997, and Oklahoma in 2001. On August 2, 1965, William Benitez, an inmate at Arizona State Prison jumped down from his double bunk in the old cellblock where he was housed and made the following notation on his wall calendar: Decision to set up Narcotic Foundation. He also circled the 18th of the same month, his target date to approach prison officials to request permission to set up a drug rehabilitation program inside the prison walls. Officials denied permission for the following six months. Mr. Benitezs request to start a program consisting of twenty convicted drug addicts caused concern to officials who feared such a program might pose a security problem (such programs were rare in prisons during that decade). Officials had little reason to believe that the request of a habitual drug addict and repeatedly convicted felon would result in one of the nations most successful rehabilitation programs for substance abusers. The material identified human abilities and their development. I was amazed I had never run across such workability within a multitude of other works I had studied over the years. Im not a gullible person when it comes to accepting new or different approaches or ideas. If they work, fine. Otherwise, throw them out the window. They either work or they dont. I was tired of experimenting with so many ideas and philosophies, many having credence only because some authority had written them. What impressed me the most about [Hubbards] materials was that they concentrated not only on identifying abilities, but also on methods (practical exercises) by which to develop them. I realized that drug addiction was nothing more than a disability, resulting when a person ceases to use abilities essential to constructive survival. I finally realized I had developed the essential abilities needed to overcome my drug problem. Feeling myself on safe ground, I knew I had to make this technology available to other addicts in the prison. I thought back over the years of all the junkies I had shot up with, and remembered their most treasured conversation, One of these days Im going to quit. I had found the means and was going to share it with them. Thats when I made the decision real by writing it down on my calendar page in my cell. The program was sanctioned by the warden, and it soon began to expand from its original twenty members. I then started to get requests from non-addict inmates who wanted to get into Narconon. They told me they were impressed with what Narconon students had told them about the program and what the technology taught. I approached the Administration for permission to include non-addicts. At first it resisted, saying that non-addict members didnt need the services of Narconon, and that they might disrupt the program. Throughout the history of drug rehabilitation, the fundamental struggle in the fight against abuse has been to help the individual abuser become drug-free. The Narconon® drug rehabilitation program has been winning this struggle for three decades. 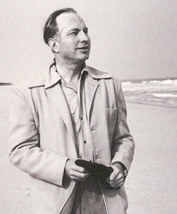 In 1966, an Arizona State Prison inmate named William Benitez read a text by L. Ron Hubbard. This was the beginning of the Narconon network. Today, we find ourselves with centers in so many countries that we have personnel working full-time just translating our course materials into new languages. The Narconon program is based upon decades of research by Mr. Hubbard. The unique methods that resulted from this work have proven as effective in Kazakhstan as in Oklahoma, and as in an outpatient center in Melbourne, Australia, in Mexico as in Russia. Nevertheless, we continue to conduct outcome studies and program evaluations to document our results and to learn how we can improve our delivery. If the results presented here are of interest to you, allow me personally to invite you to visit a Narconon center. Come and talk to our students. Talk to their parents and families. Talk to probation officers and judges who have referred offenders to the Narconon program. You may have questions. If so, I would be glad to answer any inquiries directed to Narconon International via phone, fax, e-mail, or mail. I look forward to hearing from you and hope that we can share our work, combine our resources, and duplicate our results with you and your colleagues. What we have learned is available for your use. We hope you will seriously consider what it can do for people in need in your town, city, or country. In the early '60s, Mr. Hubbard was one of the first to see the long-term consequences of the accelerating drug culture. He responded warmly to William Benitez's request for help with his fledgling Narconon program in Arizona State Prison and continued to write up his observations on the effects of drugs on the individual person, his body, and the society as a whole. Another truly pioneering innovation researched by Mr. Hubbard was adopted in 1978 known as the Narconon® New Life Detoxification Program. This tissue-cleansing regimen of specific vitamin/mineral therapy with cardiovascular exercise, intensive sweating in low heat saunas, adequate replacement of fluids and oils, has become immensely valuable for reducing the long-term physical and mental effects of drug residuals on people who have taken drugs. Mr. Hubbard noted the scientific evidence behind the accumulation of drug and other toxic residuals in the human body. He postulated the influence that these psychoactive toxins might have subliminally and overtly on the mind and person and developed a safe, healthy, and thorough method of cleansing the human body of the actual drug residuals.